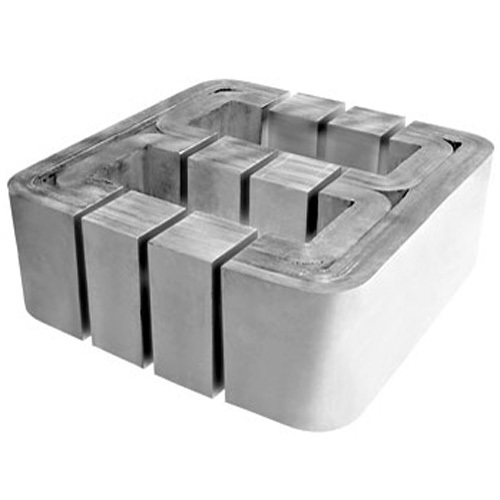 E Core for toroid transformers made of high quality CRGO steels with low iron-loss and high permeability in thickness of 0.23mm, 0.27mm and 0.3mm. The two halves of three phases put together and come into a closed flux path as an open structure. reactors, chokes and other magnetic components of electronic equipments.